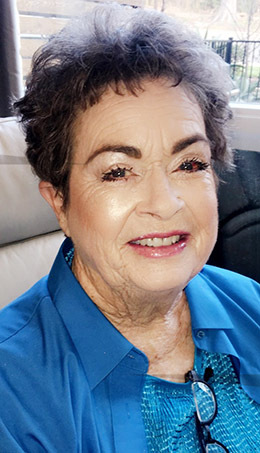 Services are scheduled for 10 a.m. Thursday, Jan. 31, at West Main Baptist Church for Sherry Tulk of Artesia. Tulk, 78, passed away Saturday, Jan. 26, 2019, in Artesia. Nolan Frederick will officiate the services, with interment to follow at Woodbine Cemetery. Pallbearers will be Cody Tulk, Erik Tulk, Derek Chase, Scott Bannister, Wes Bannister and Wilson Bannister. Honorary pallbearers are John A. Yates Sr. and Mack Chase. Sherry was born Nov. 8, 1940, in Roswell to Louis Boggs and Jessie Cook. “Gram” will forever be remembered as a woman who dedicated her life to her family and her charitable acts. Sherry will forever be missed by the many whose lives she touched. Survivors include her husband, J.C. Tulk, of the family home; son Hoby Tulk of Artesia; daughter Karla Chase and husband Richard of Artesia; sister Charlotte Gay Yates and husband John A. of Artesia; sister-in-law Bonnie Glenn of Artesia; grandchildren Eric Tulk, Cody Tulk and wife Kaitlan, Kortney Chase-Moreno and husband RT, and Derek Chase; great-grandchildren Aubrey, Taylor, Ella, Lucas and Lane Tulk; numerous nieces and nephews, including Scott Bannister, wife Teri, and their children; and many close friends. She was preceded in death by her parents; brother Jerry Boggs; and sister Wanda Price.